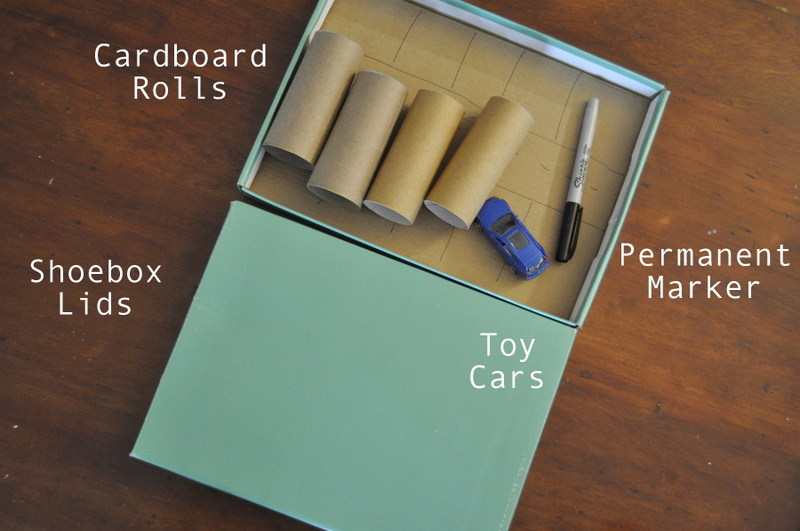 I threw this together for my son using to shoe box lids and it was a hit. We used the box part to make dollhouses. 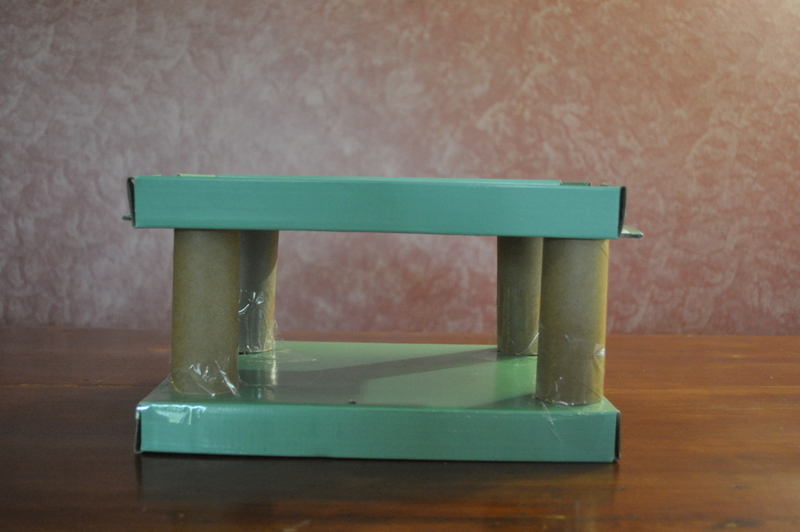 With the bottom lid facing upright and the upper lid upside-down, tape four cardboard rolls to join. 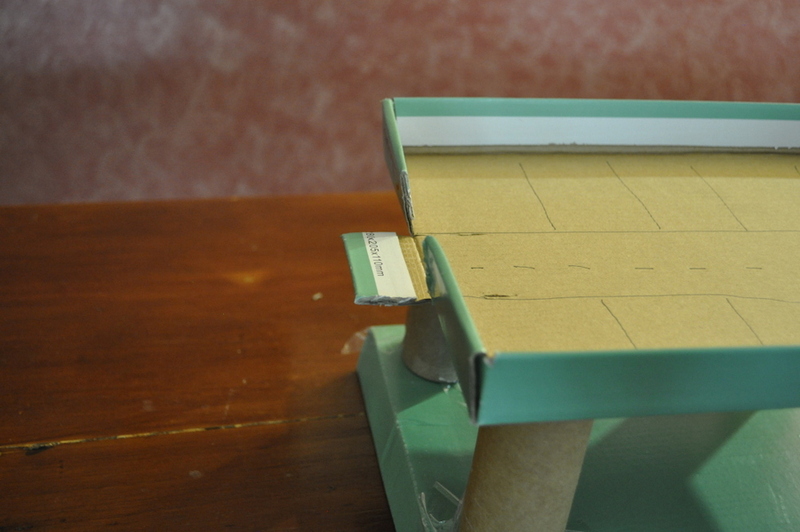 Cut a small section in each side of the top level for the ramp (leave the tabs). 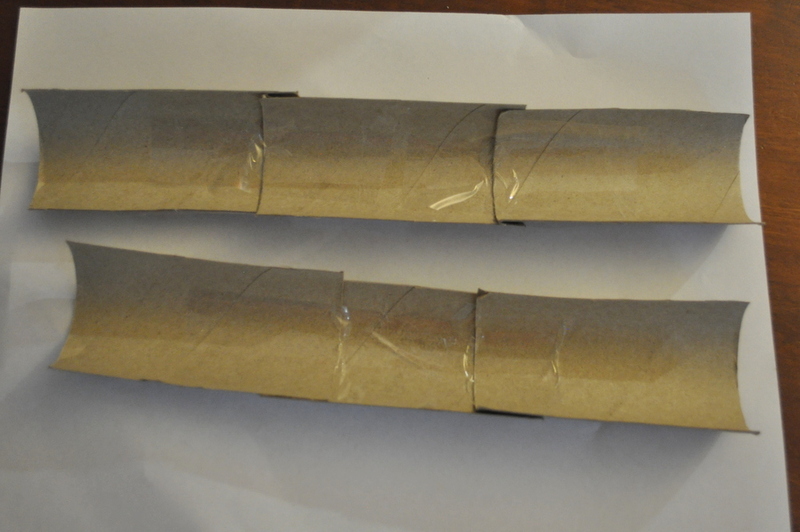 To create the ramps, cut 4 rolls in half to make 8 pieces. 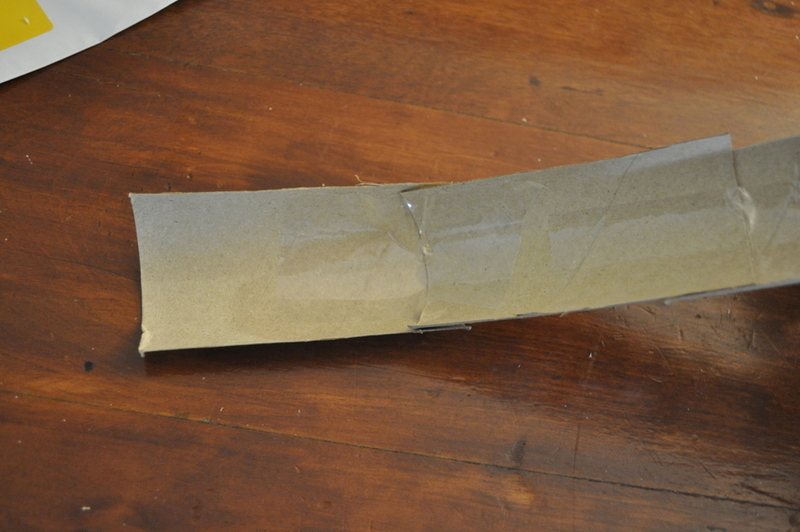 Tape three together for one ramp and three for the other ramp. You should have 2 pieces left over. 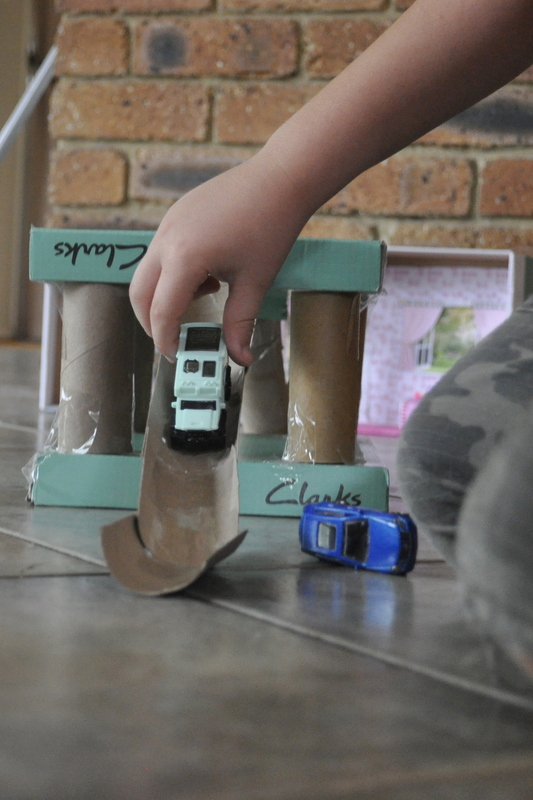 Tape the ramps to the structure and then add the last piece of the ramp with tape, angled slightly to aid cars when they leave the ramp. Draw in details with permanent marker. I simply drew in car spots at the top. 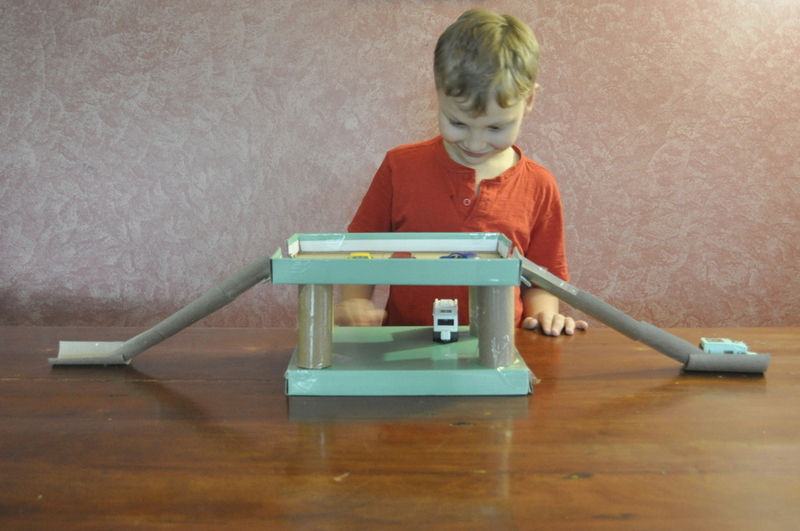 It’s fun to watch the cars roll down (it works!) 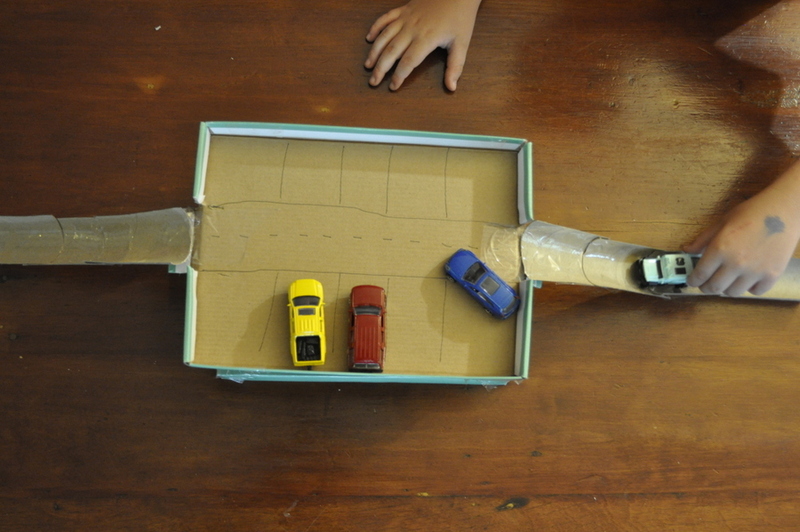 or this would be a great addition to a DIY paper play mat, wood roads, box city or play table cloth. 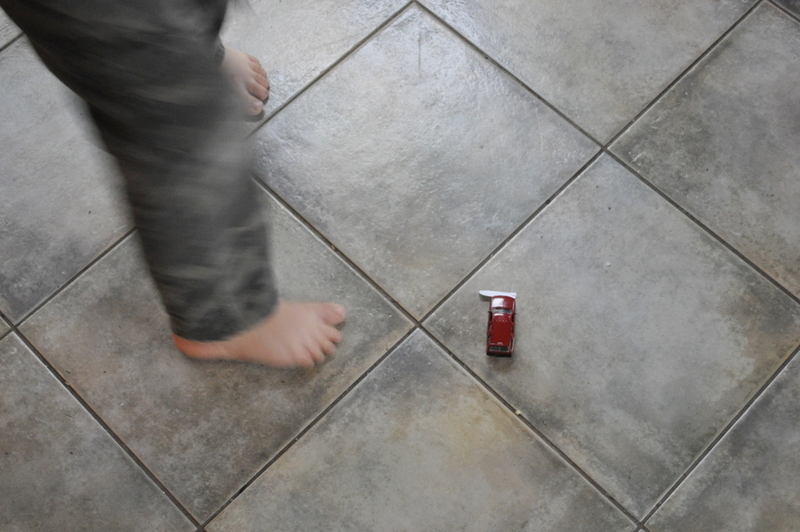 We made up a game where my son had to measure (with paper cut outs) the distance each car travelled after leaving the ramp to see which was the fastest. 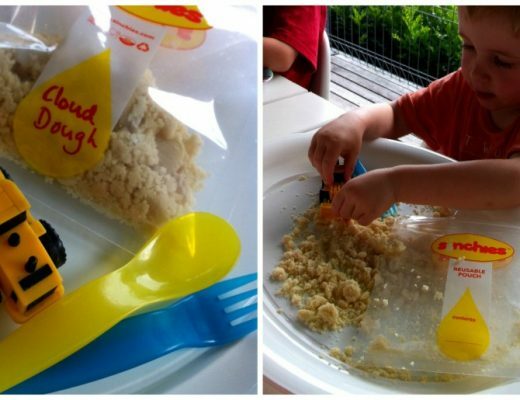 i made this for the kids yesterday and they spent hours in creative play. loved it! took me about 5 minutes to make.